Disclosure: This is a sponsored post and we were sent samples of the newest Wubble Bubble balls to facilitate this review. All words and opinions expressed are 100% our own as always. One thing you have to love about one of your favorite brands is when they keep reinventing themselves or keep coming up with different versions of their number one seller. Wubble Bubble balls are no exception and if you've followed me on the blog for a while then you know that this is not the first time that we've featured Wubble Bubble balls and every time we love them even more. This time the newest version to come out promises to keep your little ones and you busy for hours. Wubble Bubble has come out with two versions of the new Wubble Fulla which are both filled with fun surprises. One is filled with a goey slime and the other is filled with soft and colorful marbles. They both come in three fun sizes - Huge (5"), Big (4"), and Tiny (2 1/2"'). Making a perfect product for both kids and adults. We got to try out both the Huge and tiny versions of the Wubble Fulla Slime & Wubble Fulla Marbles. How cute do they look next to each other huge and tiny. If you remember the other Wubble Balls have to be inflated in order to be played with. 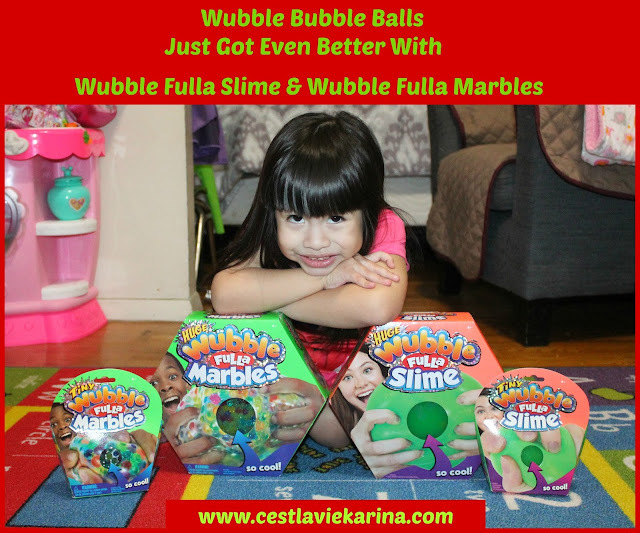 These are ready to play with the moment they come out the packaging and just the word slime had Valentina wanting to open up the Wubba Fulla Slime. 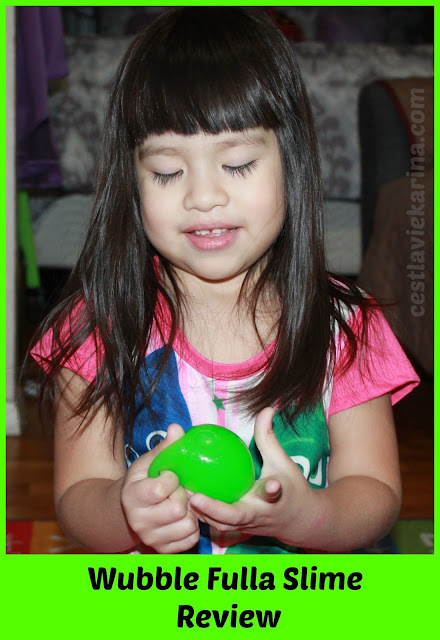 Valentina loved flinging the Wubble Fulla Slime around, the picture above shows just some of the fun that was had. There was a little bit of fighting when it came to letting her big brother checking it out. She loved stretching it and throwing it around to see who could catch it. When it came to the Wubble Fulla Marbles it was a different story. She was mesmerized with watching the colors of the fun marbles and trying to squish them through the wubble fulla as shown above. She kept rolling it on the rug as she said all the colors out loud. As with all the other Wubble balls these easily catch any little garbage, sand or hairs that may be laying around on the ground or rug. But the great thing is that after playing with it, you can easily wash it off with a little bit of soap in the sink and then let it air dry. Good as new! Wubble Fulla Slime and Wubble Fulla Marbles will provide hours of fun and you will love the option of sizes available. I personally loved the tiny ones, because you can grab them and throw them in your bag for play on the go. Wubble Fulla Slime is available at Target here but keeps selling out pretty fast. 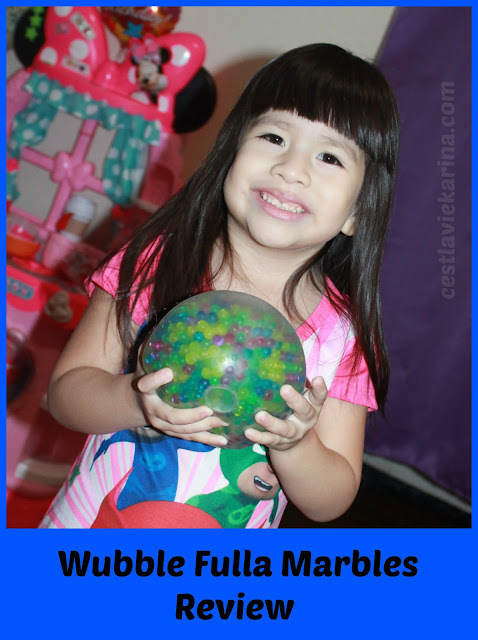 Wubble Fulla Marbles can also be purchased at Target here but also sells out pretty fast. They are also sold at Toys'R'Us and Walgreens.